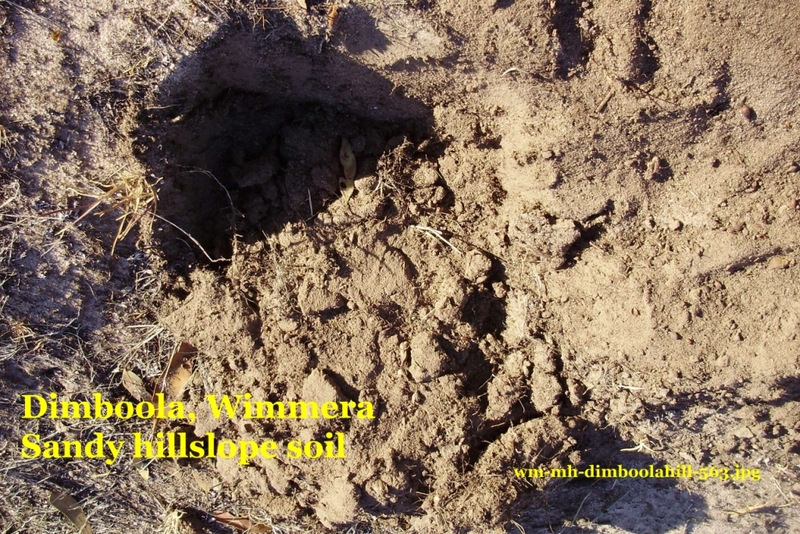 Location: 4 acres in a hilly paddock on the edge of town. – Dry years – Trees planted 7 ½ years ago. Since then, only 2 years have had average rain (450mm/pa); rest have been drought years. 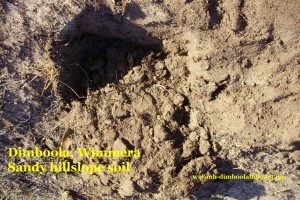 Long preparation of soils, has yielded a good survival rate. 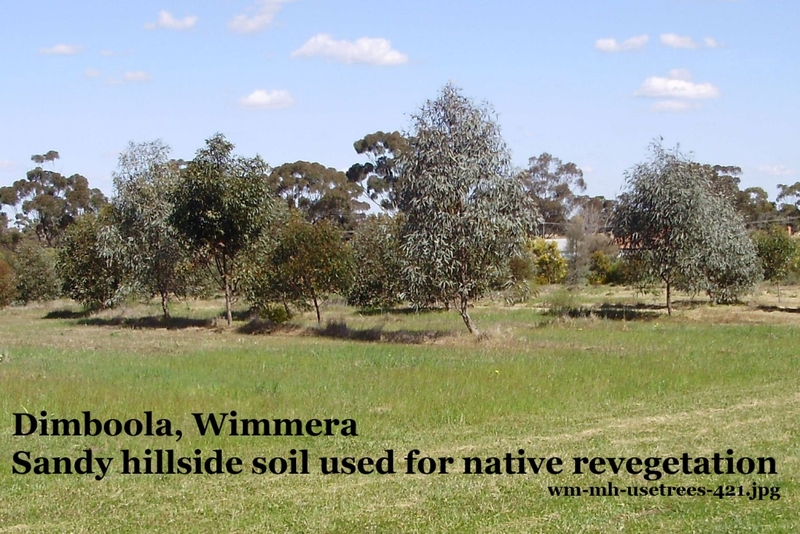 – Erosion – Native grasses grow over the ground for protection against wind erosion in summer. 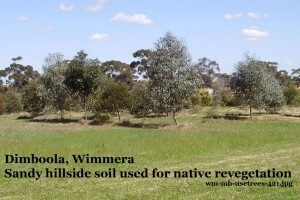 The area is mown in Winter and Spring to reduce the fire hazard in Summer when these grasses dry off. 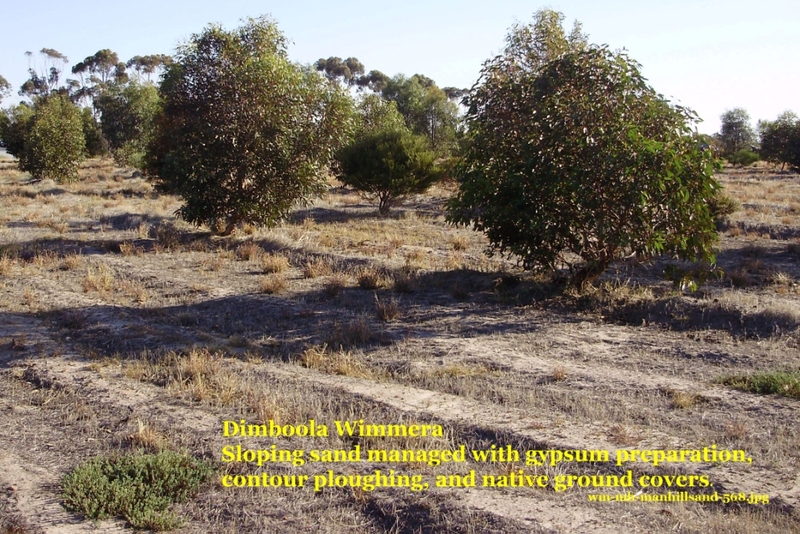 – Wimmera-Mallee sandy soils which, though drifting, still have their native plants visit the Pine Plains and Banyan Soil Selfies.